TASC provides a Total Solution for our clients work scopes. 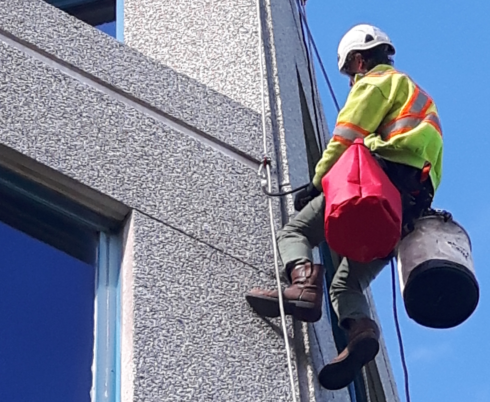 Not only do we provide comprehensive access solutions for working at height, in confined spaces, and difficult to reach areas, but we also provide highly skilled technicians from a verity of trades. Combined with our engineering and planning abilities, and our specialty services division, we can ensure comprehensive solutions are implemented in a timely, cost effective manner, while maintaining a strict safety standard. By drawing on this extensive experience, along with a network of technical resources, TASC is able to provide innovative and reliable access solutions to complete a wide spectrum of work scopes. One of our key areas is flare stacks; we have considerable expertise and experience from design and construction, all the way through to maintenance, inspection, and tip replacements. With strategically located equipment and resources, we are able to quickly mobilize highly skilled, composite crews throughout North America, to assist with emergencies and unplanned scopes as they arise. We look forward to working with you on your Total Solution!